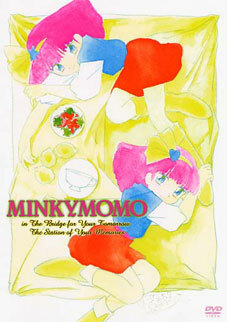 Here, the new products information of Minky Momo goods is published. I am happy if it becomes the reference at the time of your buying. 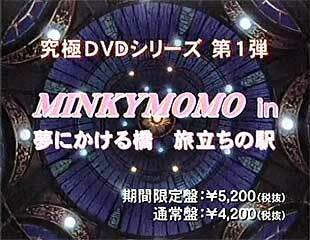 When you want to buy the Minky Momo DVDs or the CDs, go to the CD JAPAN. This on-line store can also perform international shipping ! 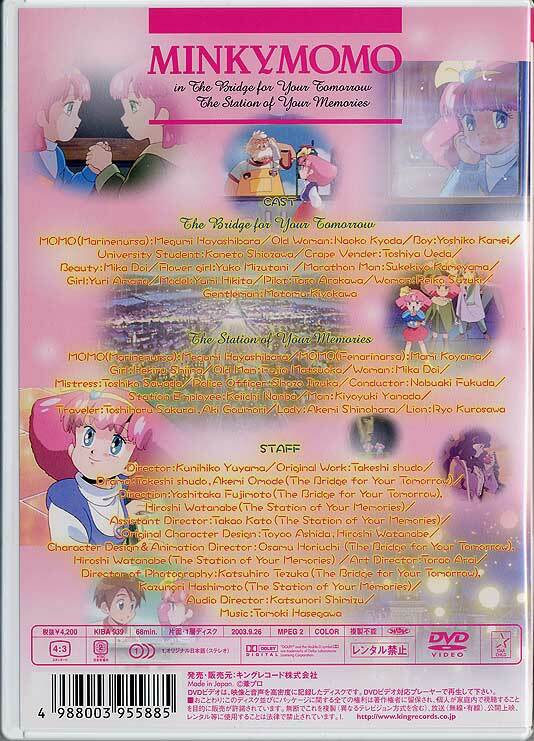 The DVD of two OVAs of second series was released ! 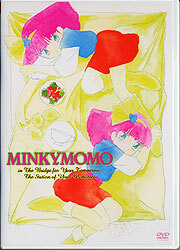 As the 1st of "Kyukyoku DVD series" (English: "Ultimate DVD series"), this was released on Sep.26 with other two titles. There are two types, a limited edition and a normal edition. 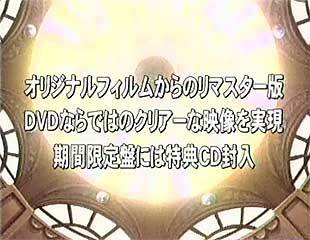 As for a limited version, Premium cd is attached. Each, printings on a package and DVD label differ slightly. By the way, there is no difference in a face of the package. Quality of image is very good. 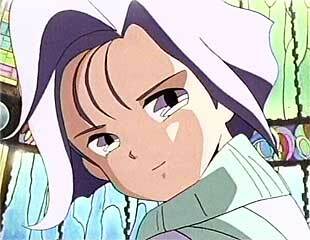 The LD of "Yume ni kakeru hashi" had many noises. Even if you are having the LD, you had better buy it. 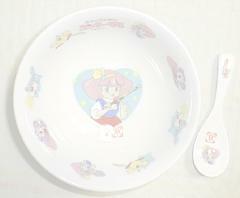 The image of "Yume ni kakeru hashi" is used. But the background and character of this image are compound and are not an actual scene. 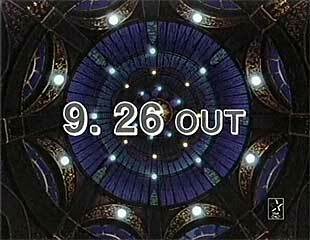 The DVD of two OVAs of second series will be released ! Good news came for the first time in two years ! Two OVAs of the second series released on VHS or LD in the past are DVD-ized. "Yume ni kakeru hashi (Minky Momo in the bridge for your tomorrow)" and "Tabidachi no eki (Minky Momo in the station of your memories)" are recorded on it. There are two types, a limited version and a normal version. As for a limited version, Premium cd is attached. The photo on the face of a package. 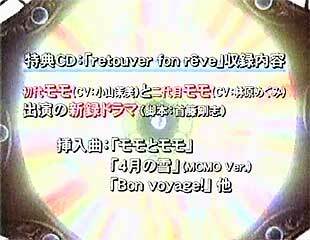 Premium CD "retrouver mon rêve ~ mata aimasho... watashi no yume ~" attached. 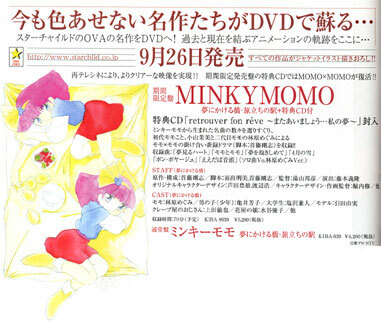 The original drama of Momo and Momo by Takeshi Shudo. Note: Limited production until Dec.20.2003. 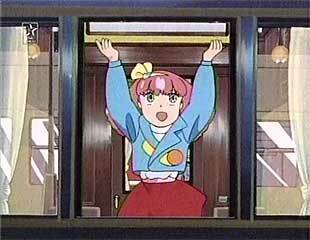 BGM is "Bon voyage!". 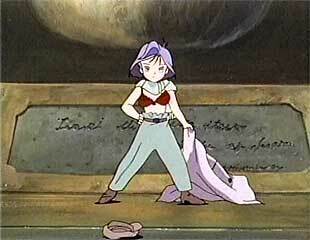 And voice is Megumi Hayashibara. Momo ga kaettekita-daba. Momo is comeback. Jobu jobu daijobu-ttena wake de. OK. OK.
Minna Momo no koto shitteru? Do you know Momo? E! Shiranaino!? Aryarya... What! You don't know me!? Oh my god. Eedaba, eedaba. Don't care. Don't care. Korekara shiriatte ikeba ii-dabasa. You will not care, when knowing me from now on. Minna ga yume o miteiru kagiri, Momo wa eien ni fumetsu nanoda. 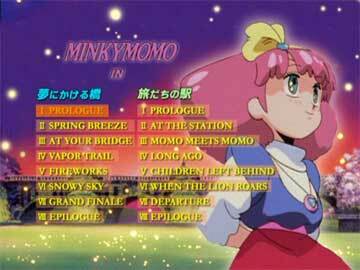 As long as you are having dreams, Momo is immortality forever. Momo o shitteru anata mo, shiranai anata mo, Minky Momo wa yoroshiku-ne. Even if you know Momo or you don't know Momo, it's nice to meet you. 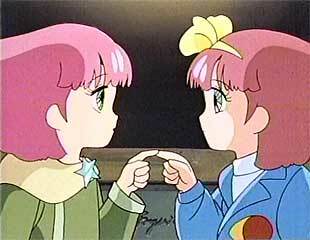 Naruyo ni naru-daba nai-dabasa. Don't care.